Today we’d like to introduce you to Nancy McIntosh. Thanks for sharing your story with us Nancy. So, let’s start at the beginning and we can move on from there. After a lifelong career in marketing and product development and selling my company to my partner, I decided to pursue my dream of creating with my hands. 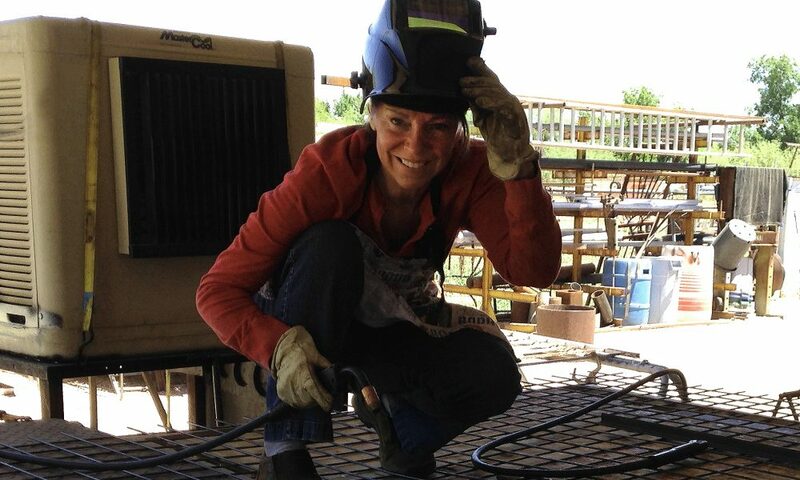 In 2011, I took a welding class a Mesa Community College, so I could make an outdoor screen for a home I purchased in Phoenix. 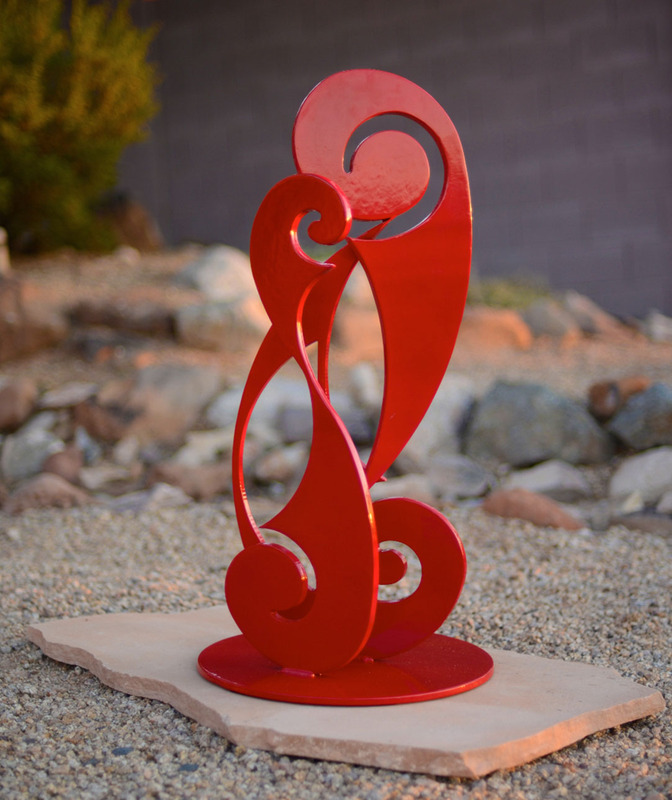 I never thought of myself as an artist, but my family and friends encouraged me to sell my work, so here I am today, creating steel and glass sculptures for private homes and public spaces, creating pieces way beyond my dreams. 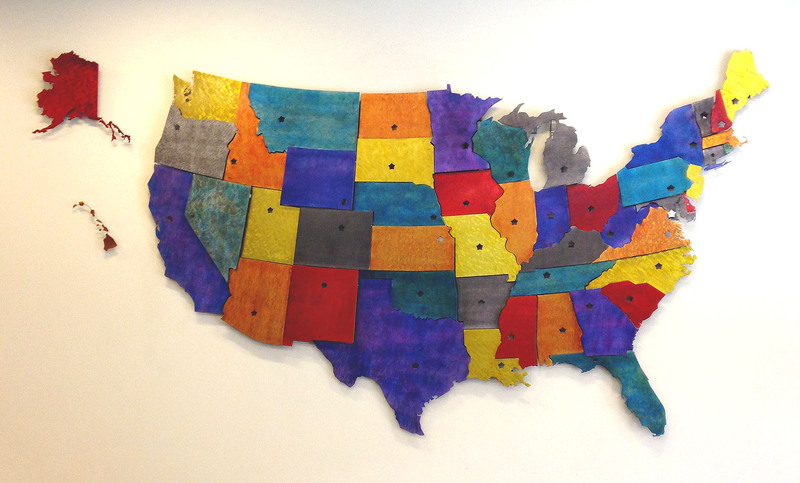 I have even made a 15′ wide steel map of the United States for a new charter school! After a few years of doing art fairs, I am working towards developing relationships with architects, landscape and interior designers, and public art. I am a problem solver at heart, so working directly with clients with a specific need is very exciting for me. I have been very fortunate in that almost everything I’ve made has sold. I love creating, and many of my customers love that I make a variety of pieces. The struggles being a maker are very similar, as I’ve discovered meeting and talking to other artists – finding your customer and creating pieces that you can charge enough to cover your costs, mostly the cost of your time. Creating the first piece is always the hardest, so if it sells, you learn to speed up the production time and adjust the price, if possible, or move on to another piece. So let’s switch gears a bit and go into the Nancy McIntosh Design story. Tell us more about the business. My tag line is “creating visual pleasures for indoor and outdoor environments”. This allows me to create a variety of work in steel, glass, and recently ceramics. 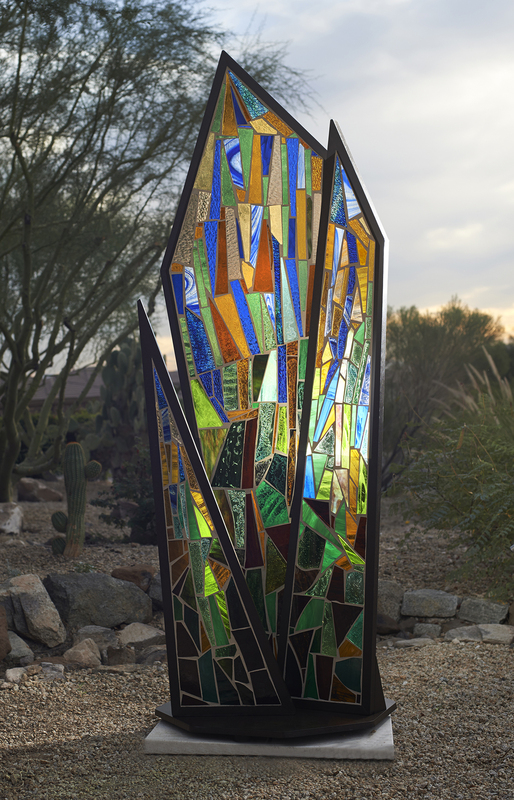 I am known for my steel and mosaic glass sculptures, most recently for the city of Scottsdale’s Influx program. 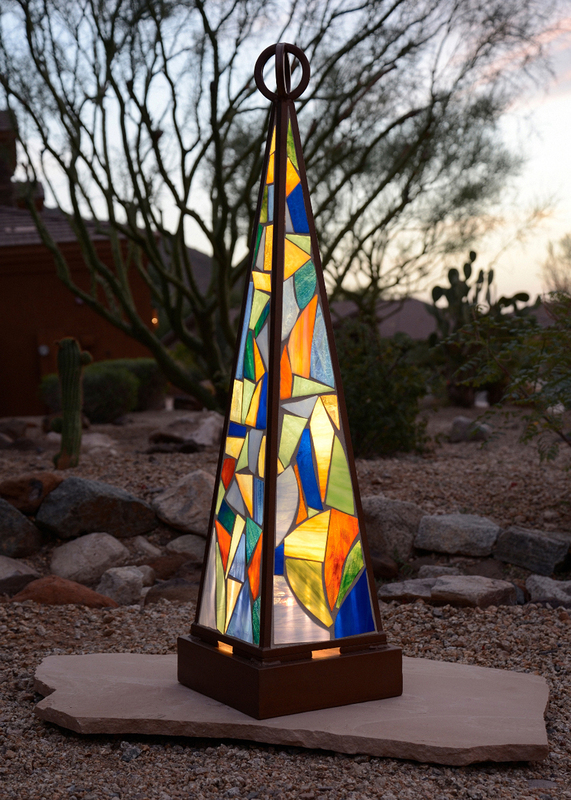 I created two steel and mosaic glass sculptures that light up at night. Colorful and striking during the day, glowing beacons at night. Because I create a variety of work, customers always find something new, whether it be wall art, garden art, or a planter or bird feeder. I often work with scrap steel, which allows me to create one of a kind pieces. As our population continues to age, I am hoping that more and more people discover and pursue their ability to “make”. Making keeps us alive, our brains engaged, and keeps us connected to the community. It allows us to contribute in other ways than our past careers have allowed us. It’s not collecting a paycheck. And as younger people see this trend, which I think they already have, society will become more diverse, more exciting, and more fulfilled as human beings.